A wonderful experience for students and staff alike who were fortunate to be part of Dr Jane Goodall’s 80th Birthday celebrations, as she inspired us with anecdotes from her life experiences during her symposium on June 2. For students Benjamin Cazaly and John Perks (together with Mr Vin Brown), the excitement continued as they were selected to join Jane for the VIP post symposium luncheon. 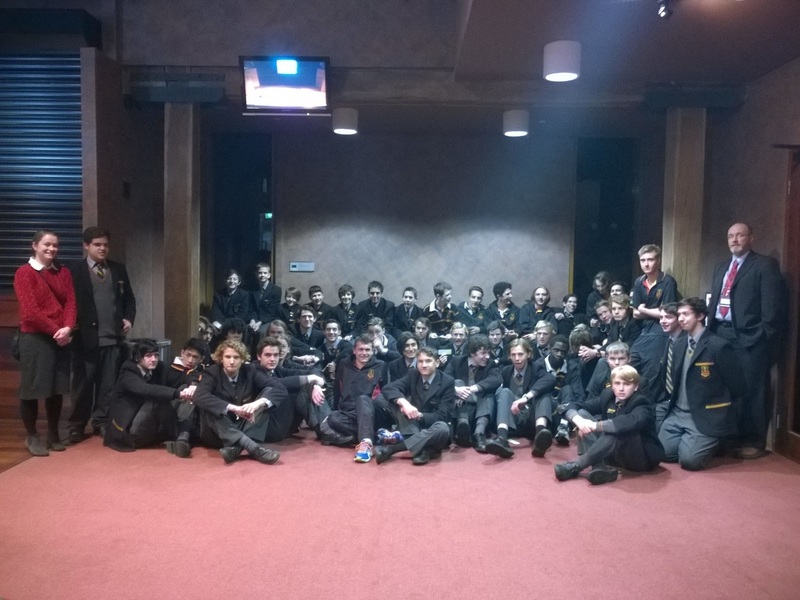 The sustainability leaders and year 11 biology students were given the opportunity to attend a symposium at Deakin Costa hall to see the infamous Jane Goodall. Most people would know her from her appearance on the Simpsons but the students able to attend the symposium were given the great chance to hear her speak about her past endeavours and current escapades as an activist. She inspired the audience to think about the environment and what we could do in our own way to help. She motivated the audience to search for the small things that we could easily apply to our lives to preserve our precious Earth.